The Arizona Road Trip of Awesome Recap! Hi again! 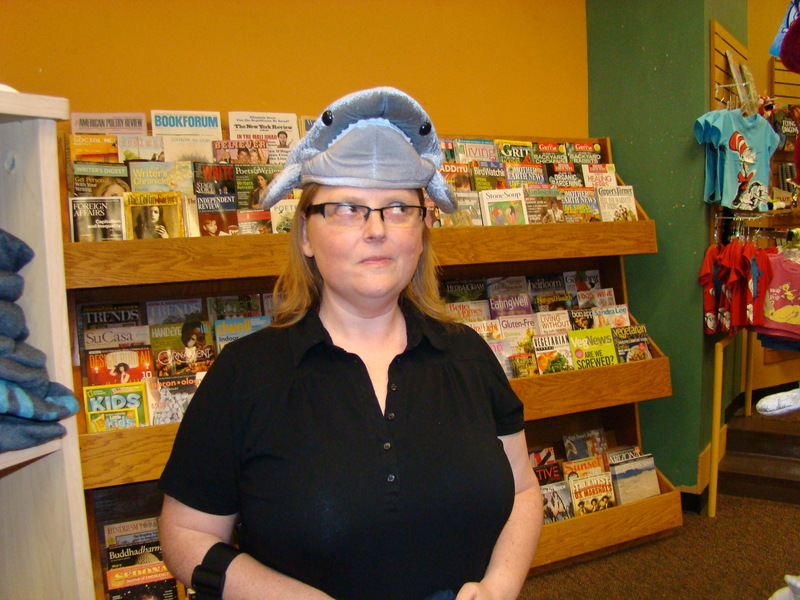 If you’re familiar around these parts, you probably know that I went to Arizona last week for the Tucson Festival of Books and in doing so, participated in the ARIZONA ROAD TRIP OF AWESOME (ARTOA), but you may not have known about all the hijinks I got up to. So in the interest of entertaining you, here’s a little recap post with some fun pictures. It was an AMAZING trip and if you’re at all able to go to the festival next year, I highly recommend it, although hopefully the weather will be a bit nicer. Arizona owes me some sunshine-we Canadians don’t get near enough, especially in March, so I’m a bit sad that I didn’t get my fair share on this trip. That said, it was still a great time, as you can see below. 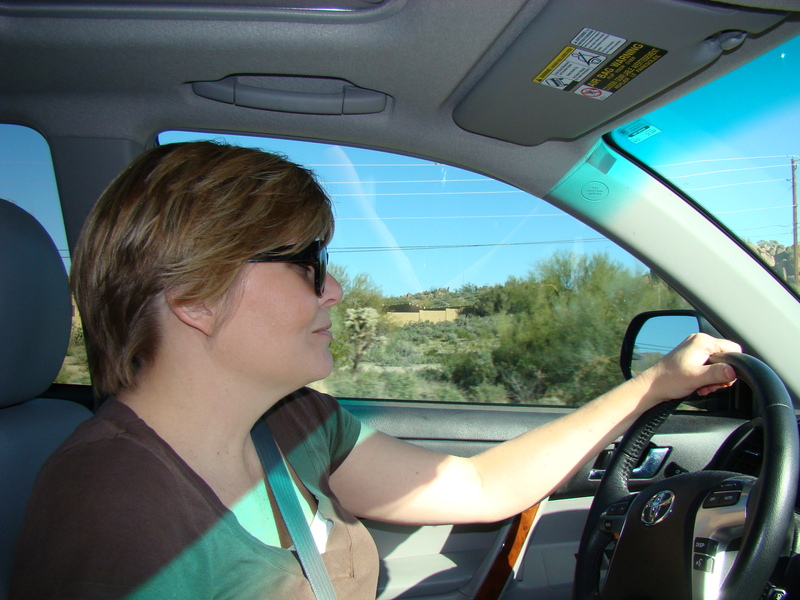 First, as on every good road trip, we had a great driver, the lovely and safety-conscious Lisa McMann. She’s a very good driver and not just on the driveway. After she picked me up, we also collected fellow road-trippers, A.S. King (referred to hereafter as ‘Amy’) and Heather Brewer. All road trips require food and this one was no exception-we had a great dinner with some Phoenix area friends. 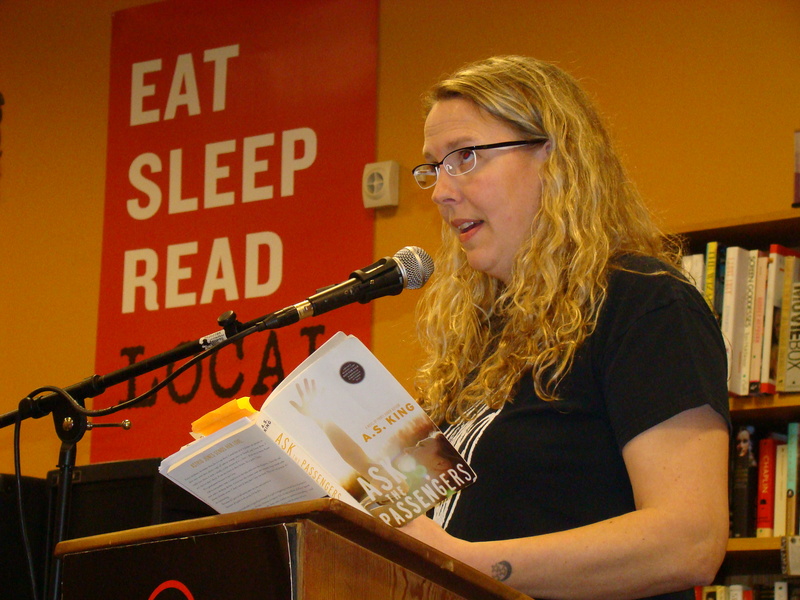 After the dinner, we headed over to Changing Hands where we sat with a full crowd for Amy’s event. 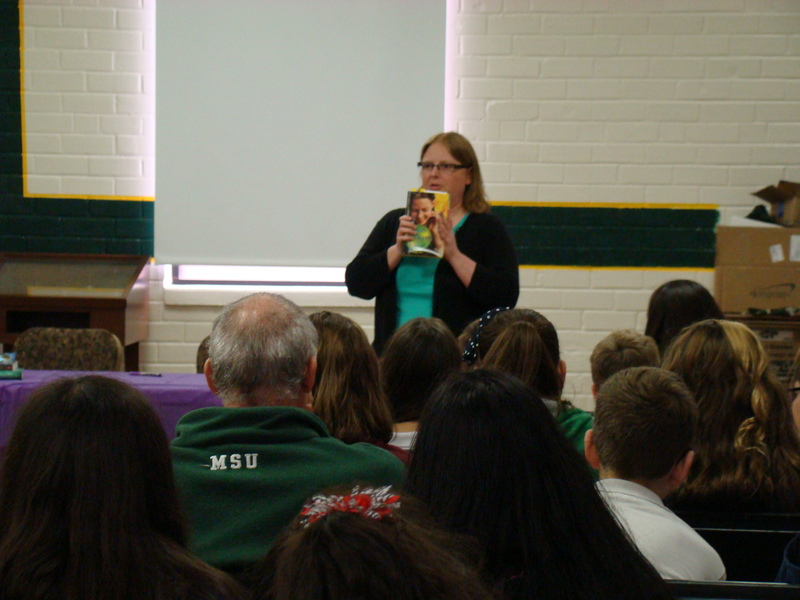 She engaged the audience with her readings and great stories. 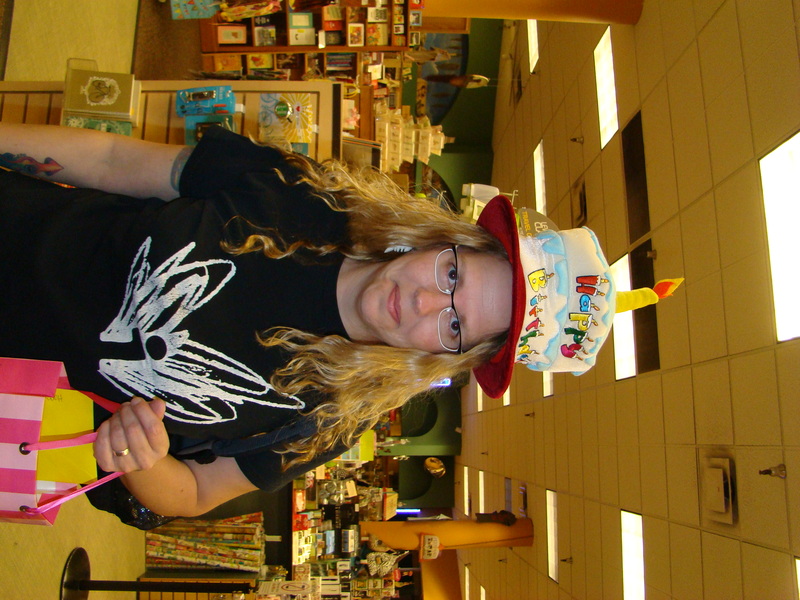 Then we tried on hats. She’s a good egg. Get it? She’s got a chicken…never mind. 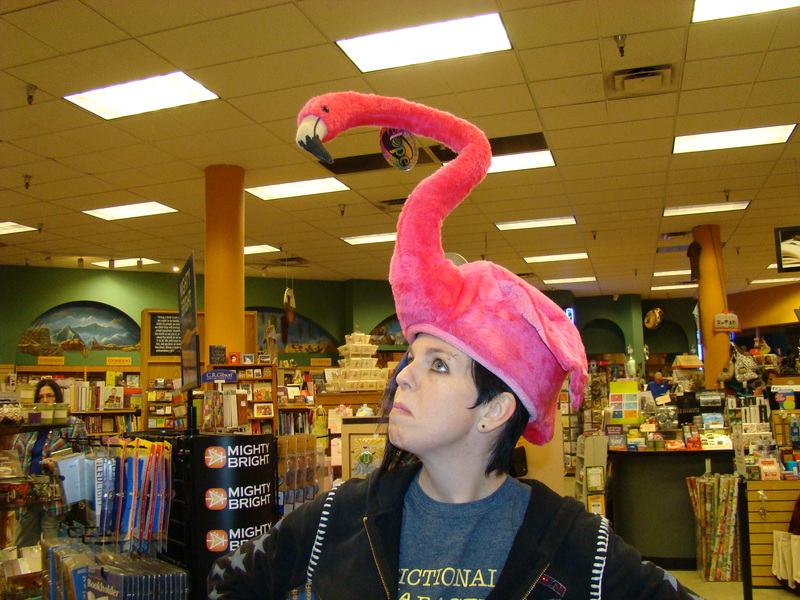 Never before has a flamingo been so regal! Is there something on my head? On Friday, it was off to Tucson, but first, we made a stop at Casa Grande for some school visits. Lisa, Amy and Heather headed to the high school and I had the extreme pleasure of meeting up with the wonderful Jennifer Nielsen and we did two school visits together. For this newb, it was a high honor indeed to get to present with such a funny, engaging professional. 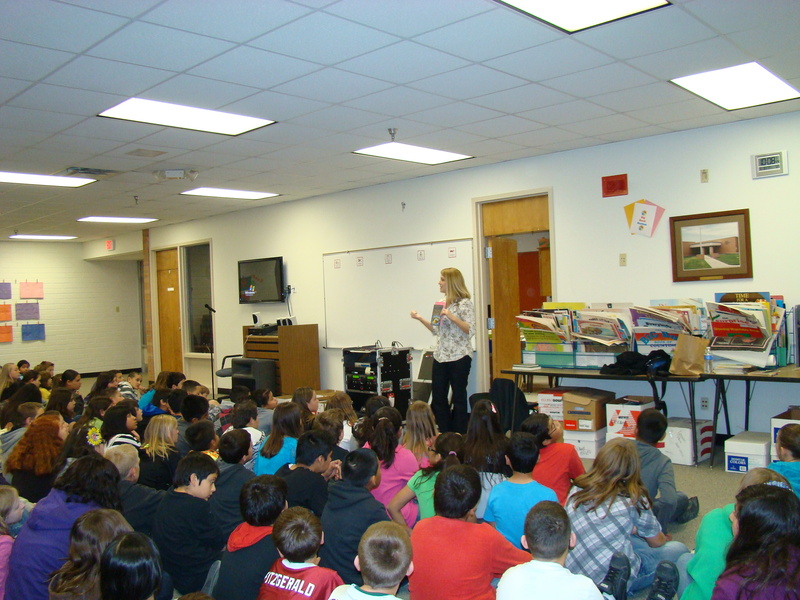 Jennifer presenting to a riveted crowd, while I sweat it out, waiting for my turn. Hiding behind my book. Kids are scary! I’m just kidding. Kind of. Don’t those books look good together? And then we were off to Tucson. While Amy, Lisa and Heather jetted off to a swanky dinner, where I heard they had steamed burgers (that can’t be right?) Jennifer and I were joined by the lovely and hilarious Elizabeth Eulberg. We ate at this place that served the biggest bowls of food I have ever seen. Seriously, that was A LOT OF FOOD. Then we got freaky weird fortunes. I would share them with you, but I have since lost them, and anyway, what happens at Pei Wei, stays at Pei Wei. 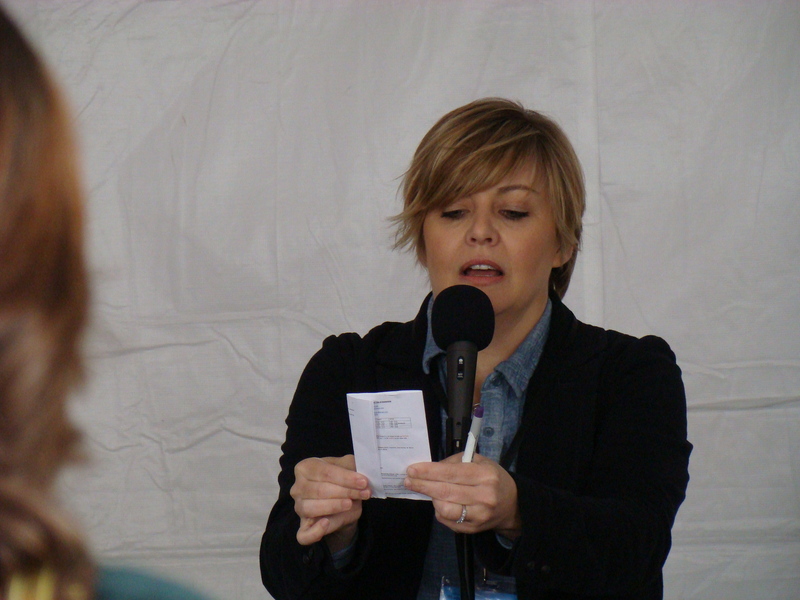 Saturday was all about the Tucson Festival of Books. 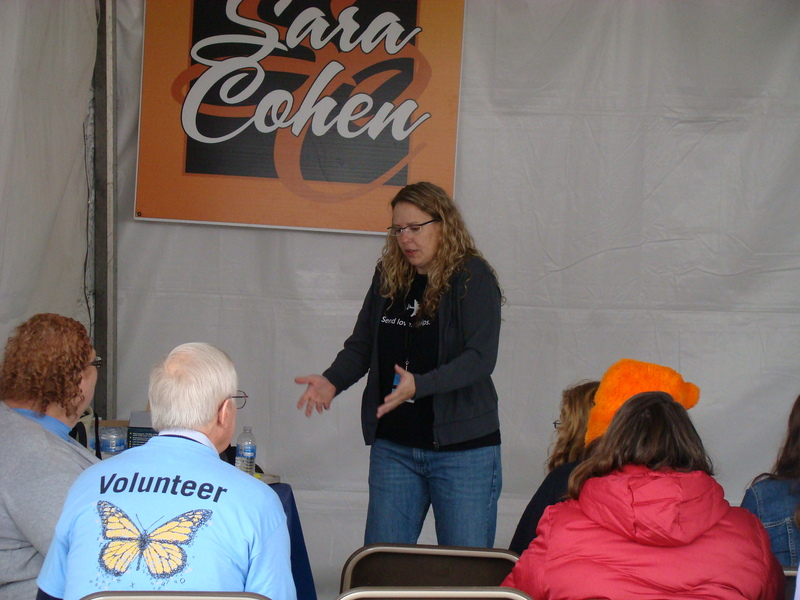 It was a cold, drizzly day, but that didn’t dampen the spirits of the many book lovers who came out. I started my scheduled part of the day off with a signing at the Mostly Books booth with Lisa. 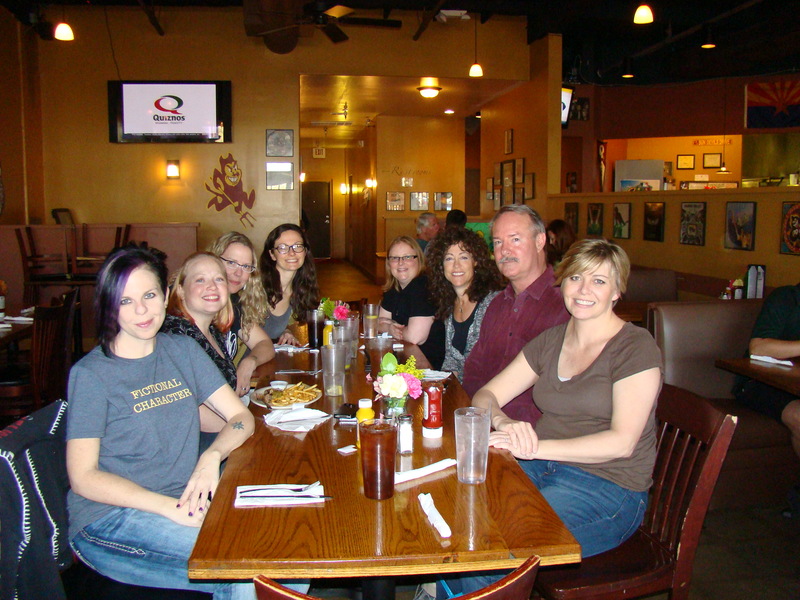 Jody, Tricia and the other staff were great – thanks for hosting us! While there, I sat next to Hilary Davidson and through chatting, we realized we’re both from Canada – only an hour apart. Hilary now lives in New York, but still, how cool is that? 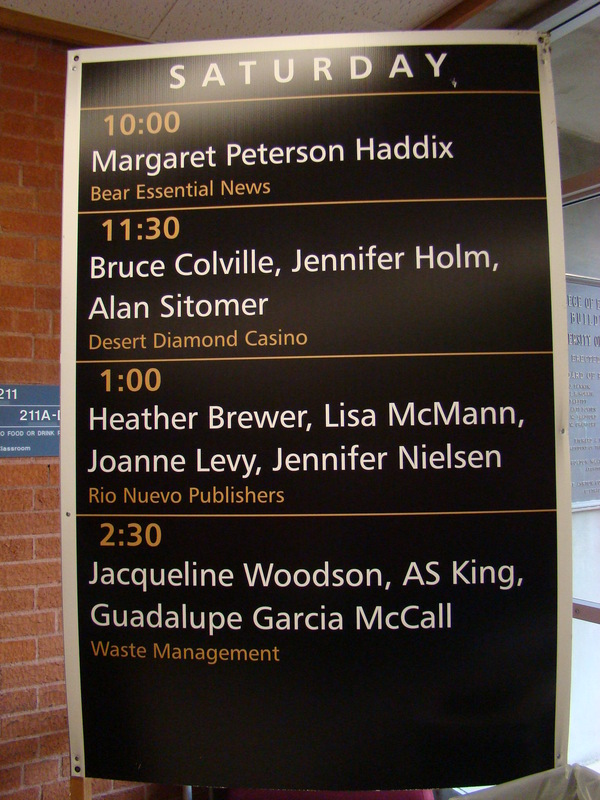 Yes, it’s dorky, but seeing my name up there on a cool sign got me all emotional. You know you’re special when someone puts your name on a sign that isn’t just a scrawled whiteboard. Anyway, the 1pm panel was great and very well attended. Somehow, Lisa got me to tell one of my most embarrassing high school stories. I’m not going to tell you what it was, because what happens in the Kiva Auditorium, stays in the Kiva Auditorium (thankfully). Our moderator, Gail, kept the questions coming and engaged the audience in Q&A-thanks, Gail! Thank you to my author host, Maylan! My second panel was all about writing humor. 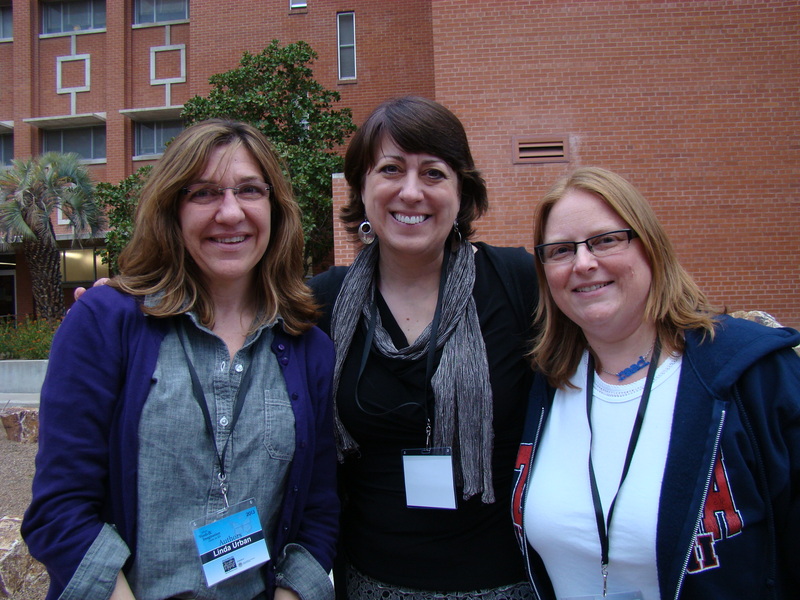 My co-panelists were Linda Urban and Elise Broach, two fine ladies I’d never met before. I do know Linda from Twitter, but it was especially nice to meet her and Elise in person. It was kind of weird meeting my co-panelists just minutes before our session, but very quickly, I realized they were professionals and we’d be great. We got many thoughtful questions from the audience and it went very well. Thank you to moderator Jennifer for the excellent questions and keeping everything running smoothly. Linda Urban, Elise Broach and Me. I also got to meet Tom Leveen again (we met very briefly at NCTE in November) and the lovely Erin Lange, a fellow Apocalypsie. We share the same publisher and even editor, so it was great to meet up. We didn’t have a lot of time to chat, which was a bit sad, but means I just need to return to Arizona again. All in all, it was a great trip. 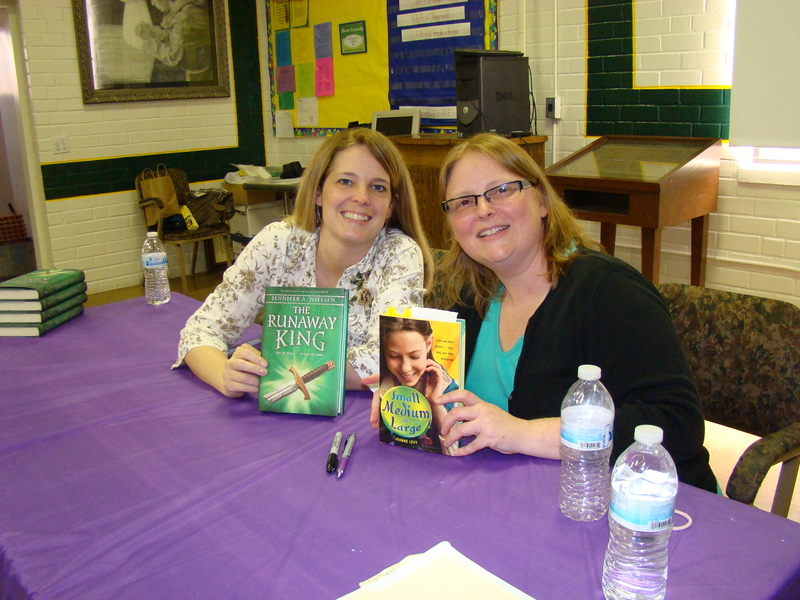 I love author events where I get to meet colleagues and other book lovers and if you throw in some travel, well, I’m in. Thanks to everyone who made the ARTOA truly awesome. The Arizona Road Trip of Awesome Giveaway! 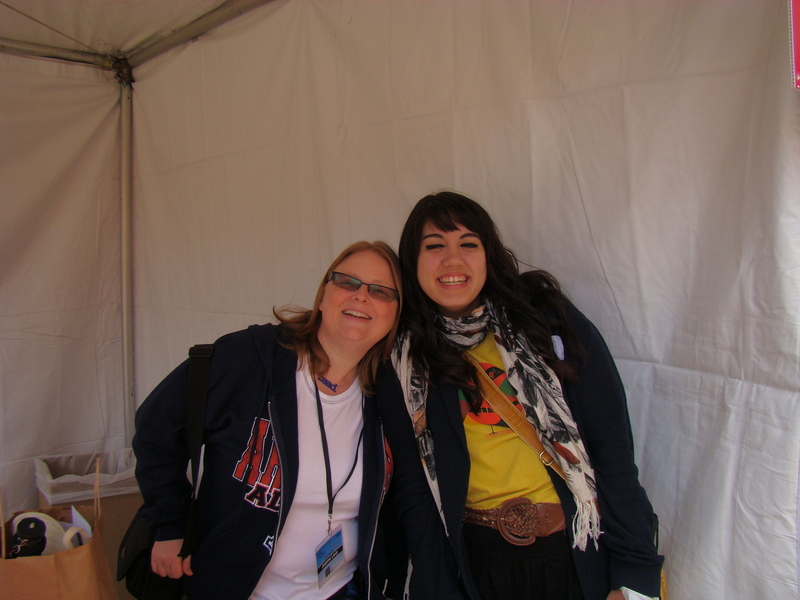 Going to the Tucson Festival of Books on Saturday – have you been to this? It’s AMAZING and while I’m there, I’m on panels with Lisa McMann, Heather Brewer, Jennifer Nielsen (hopefully she’s not sick of me by then) and my other online friend, Linda Urban. 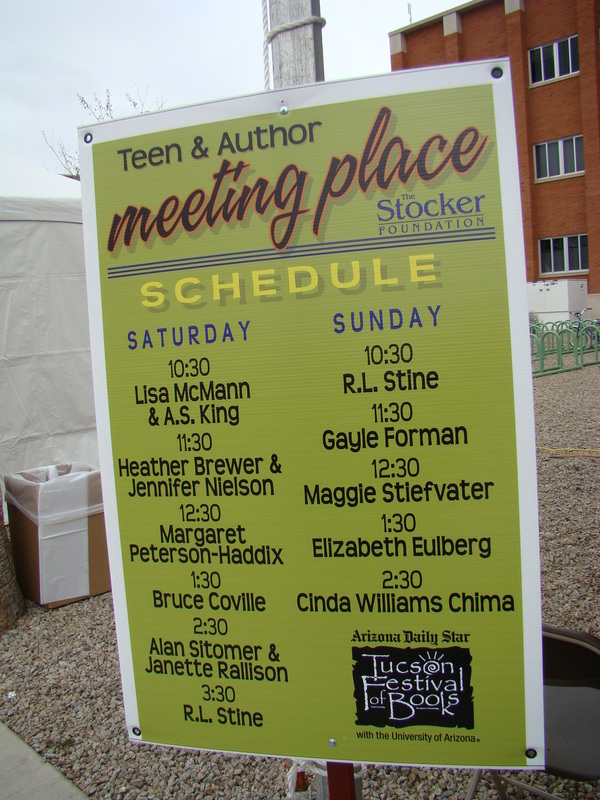 If you’re in Tucson and coming to the festival, make sure you find me and say hello – here’s the schedule. This is just the busy, writer related stuff – I’ll also be doing some serious R&R and of course, book buying. THIS CONTEST IS NOW CLOSED – Congrats to Melissa Roske! But before I go, I have to pack for the trip. 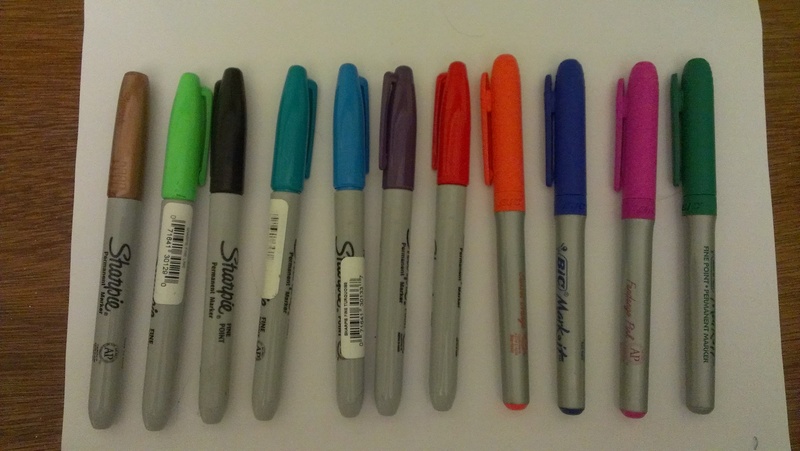 Of course I only have so much room, but I have like a zillion Sharpies! How to choose? YOU are going to help me. Pick from the colors below and tell me why I should take that color of Sharpie to sign books with. Just leave a comment below and you’re entered to win a copy of YOUR CHOICE of SIGNED/PERSONALIZED book by one of any of the authors listed above (or you could get some extra brownie points and pick a signed personalized copy of my book, but if you don’t I understand. I mean, look at those other authors!). Sound like the easiest thing ever? Yeah, pretty much. And if you tweet, Facebook or otherwise tell your friends about it, I’ll give you an extra entry, just make sure you let me know in your comment what you’ve done. Because I’m not rich, this will have to be a North America only contest (sorry friends from Norway and other lovely places abroad!). AND you only have until this Wednesday, March 6 at 23:59 EST to enter so I can pick a winner and organize the prize. Here’s what you’re choosing from? Left to right: bronze, Kermit green, black, teal, sky blue, purple, red, orange, indigo, pink, forest green. Don’t forget to tell me WHY you picked that color. *Jennifer also has an event at Changing Hands on Wednesday, which I will unfortunately not be able to attend, but if you’re in the area, go and say hi for me. Tell her I’ll see her Thursday. 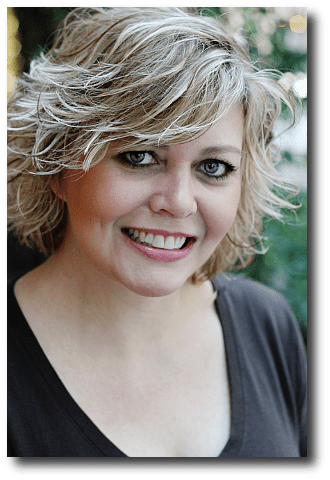 Lisa McMann is the New York Times bestselling author of the middle-grade dystopian fantasy series The Unwanteds and the upcoming Infinity Ring book 3 (The Trap Door), as well as bestselling teen novels including the Wake trilogy, Cryer’s Cross, and Dead To You. She lives with her family in the Phoenix area. Read more about Lisa on her website at http://lisamcmann.com. Or better yet, be her friend on Facebook or follow her on Twitter. 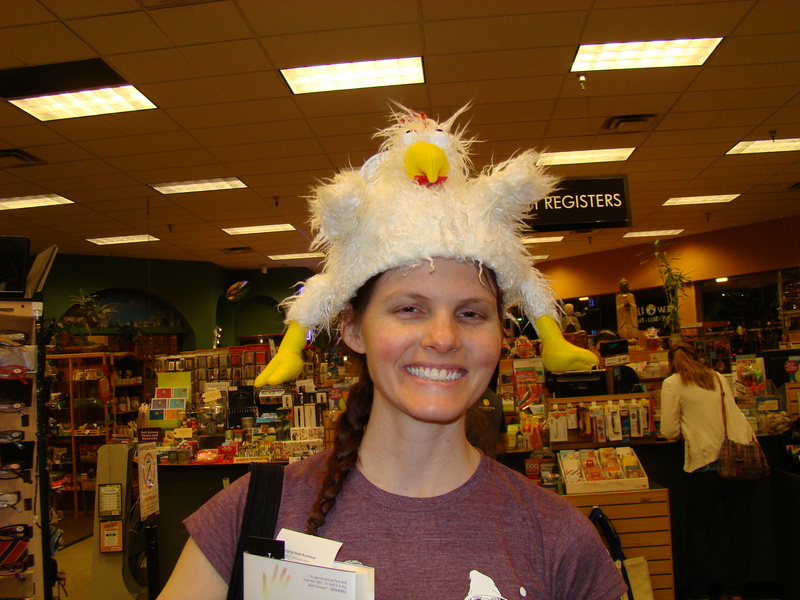 From Lisa: This auction is for an in-person visit to your school, library, or bookstore anywhere in the continental US (48 states & DC), or Hawaii, or one of four cities in Canada (Vancouver, Calgary, Montreal, Toronto) in the 2013 calendar year. I’ll take care of my flight, hotel, meals, and I’ll waive my speaking fee. I’ll need an experienced adult driver to cart me around to/from airport, hotel, and event. 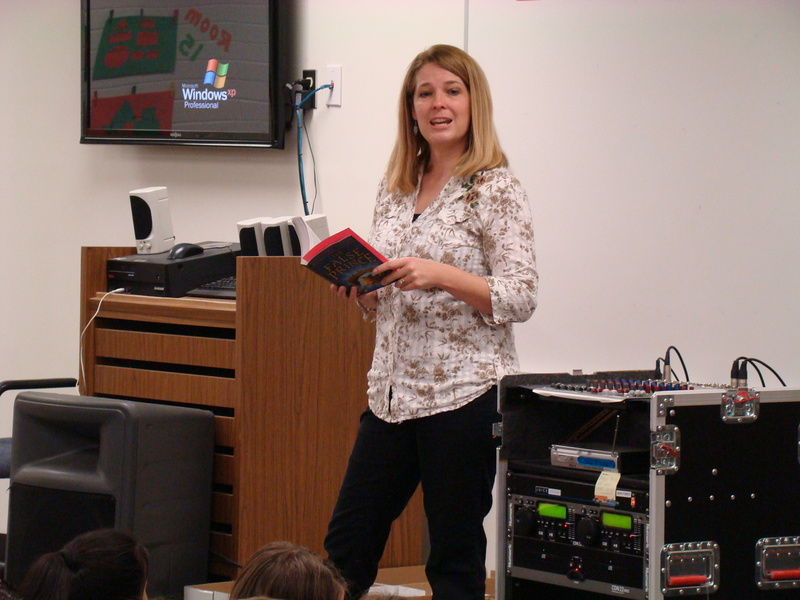 Pack in the whole school for an assembly, book fair, and/or signing, or bring me in for your 10-person book club to hang out and talk about books-audience size doesn’t matter to me. 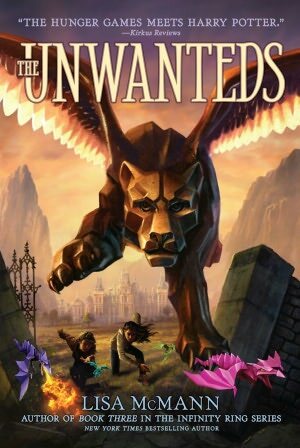 I can work with grades 3 and up for The Unwanteds series and/or Infinity Ring, and grades 7 through adults for my teen books (Wake trilogy, the new Visions series, Cryer’s Cross, and Dead To You). This auction closes at 10pm Eastern Standard Time on November 23. Any bids placed after that time will be void.